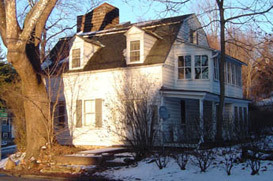 The hamlet of Valley Cottage is located in the Town of Clarkstown, north of West Nyack and east of New City. The most popular destination in Valley Cottage is Rockland Lake State Park on the bank of the Hudson River, offering picnic tables, grills, boat rentals, a boat launch dock, and a lovely walking path. Valley Cottage is home to a wonderful farmers market every Sunday and great dining options include Dee Marias Pizza & Pasta, Valley Cottage Deli & Catering, Cinco De Mayo Mexican Restaurant, and Jonnie’s Wok.